Brooklyn, NY – June 27, 2018 – Greenland USA and Forest City Realty Trust, Inc. (NYSE: FCEA) today announced that they have completed the previously disclosed restructuring of Greenland Forest City Partners, the joint venture that is developing Pacific Park Brooklyn, a new 22-acre mixed-use development in Brooklyn adjacent to the Barclays Center. The restructuring confirms that Greenland USA’s ownership interest in the partnership will grow from 70 percent to 95 percent going forward, and Forest City’s interest will decrease from 30 percent to 5 percent. Greenland USA will assume primary responsibility for the remaining development work at Pacific Park. The restructuring does not impact three projects previously developed and completed by the joint venture: 38 Sixth Avenue, 535 Carlton and 550 Vanderbilt. For more information about Pacific Park Brooklyn, please visit www.pacificparkbrooklyn.com. Greenland Forest City Partners is a joint venture established in June 2014 between Greenland USA, a subsidiary of Shanghai-based Greenland Group Co., and Forest City New York, a subsidiary of Forest City Realty Trust, Inc. 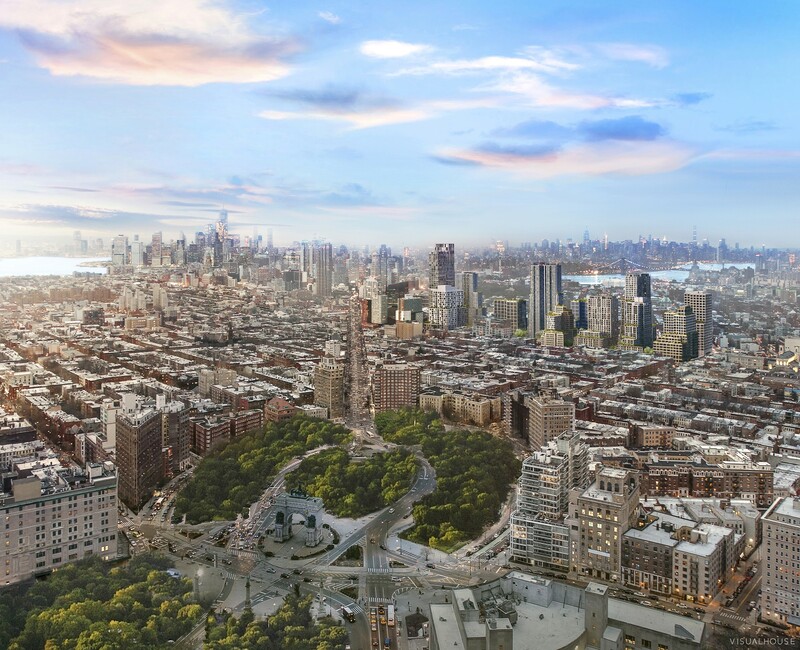 The partners will co-develop Pacific Park, the 22-acre mixed-use neighborhood in the heart of Brooklyn. When complete, the neighborhood will include 6,430 units of new housing, of which 2,250 units will be affordable.